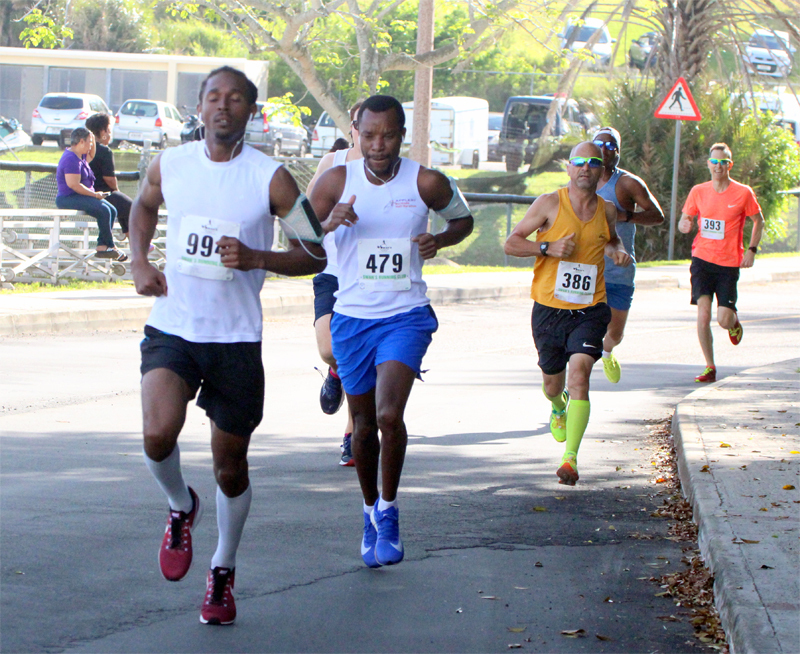 Chayce Smith and Christine Dailey raced to victory in the ‘Sir’ Stanley Burgess 5K road race this weekend. Smith clocked a winning time of 15:58, Dennis Mbelenzi was second in 17:29 and Christopher Harris finished third clocking a time of 17:37. Dailey was 7th overall clocking a time of 18:49, Gayle Lindsay was the second female finisher and 9th overall clocking 19:05 and Deon Breary was the third female finisher and 18th overall with a time of 21:02.